This symposium is financially sponsored by JSPS (Japan Society for the Promotion of Science) Exchange Program for East Asian Young Researchers (ASIAN-HOPE Programme 2010) and young researchers are invited from Asian countries. It is also in partnership with COP10, Aichi-Nagoya. Freude is three minutes' walk from Inuyama Station, Meitetsu Inuyama Line, one hour from Centrair Station (Central Japan International Airport) or thirty minutes from Nagoya Station. Conservation medicine is an emerging, interdisciplinary field that investigates the relationship between human and animal health and the environmental conditions affecting the emergence of infectious diseases. In collaboration with veterinarians, virologists, parasitologists and other experts in the bio-medical sciences, primatologists have begun to investigate the role of diseases in the natural history of primates and as a tool for the conservation of endangered wild populations. A key role of the primatologist in this multidisciplinary research is the collection of behavioral and ecological data necessary to elucidate the impact of disease on a group and to collect the relevant samples (urine, feces, hair, postmortem tissues) needed for laboratory identification and quantification of the disease in question. Many advances in the ability to identify parasite and viral infections from non-invasively collected samples has strenghtened our ability to determine and monitor disease affecting wild primate populations. Such diseases as malaria, SIV (the precursor to HIV), anthrax and ebola, all potentially life-threatening diseases to humans and animals are now readily detectable from feces and urine. Primatolgists also play a key role in long-term health monitoring of groups. This is important for understanding seasonal and individual specific processes of disease transmission and for the early detection of emergent diseases in a population that, if unchecked can propose a serious health risk to both local human and animal safety. Health monitoring is not labor intensive and can easily be incorporated into general observational protocol. Given the non-invasive nature of sample collection, it does not compromise with a policy of limited contact and proximity to study subject. This talk will introduce collection techniques and describe some recent findings from primates in the wild. Mike is a faculty member at the Primate Research Institute of Kyoto University and has conducted research on many primate species in the wild, commensal to humans and in captivity for over thirty years in Japan as well as Tanzania, Uganda and elsewhere in Asia. His areas of expertise include behavioral ecology, parasite ecology, ethnobotany and social learning. He has integrated all of these disciplines into the study of animal self-medication, in order to understand the impact of parasites on the behavior and health of primates in nature. Mike is currently involved in various collaborative research projects investigating the disease ecology of primates and other animals in Japan, Sri Lanka, Thailand, Vietnam and Taiwan. He is also deeply involved in the research and education of young scientists around the world, frequently lecturing at the graduate and undergraduate level internationally and within Japan. In Japan crop-raiding by monkeys is a serious social problem now; their range expanded close to the human settlements and they often intrude into the center of big cities. After World War II it was presumed that the wild population of Japanese macaques had faced a extinction, prompting they legal protection since 1947. During these 60 years their wild populations have apparently recovered and are still increasing, especially in the area where monkey populations contact with human settlements. The population control of Japanese macaques is a controversial problem in society today. After 1998 more than 10,000 monkeys were removed every year, but crop-damages has not decreased, but instead seems to be growing more serious. The changing society in Japan including its economic structure and attitude toward wild animals as well as a loss of wildlife management measures (hunting etc) may make these problems more complicated. Meanwhile, the circumstances are quite different in Southeast Asia. The populations of wild primates are seriously threatened by large-scale habitat destruction. We surveyed the current situation of mammals in Sumatra and found that many species including arboreal primates were driven out from their original habitats. The isolated small population of primates may not be able to increase in some reserves and/or temple forests. I hope to discuss how adaptive management can help to deal with these different circumstances. 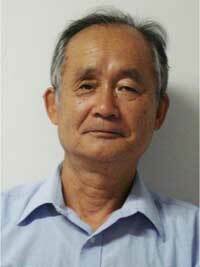 Kunio Watanabe is a faculty member at the Primate Research Institute, Kyoto University. He has conducted field research on Japanese macaques throughout Japan and is currently involved in establishing a population management policy of Japanese macaques for the government. He has studied Asian primates throughout Asia for 35 years, especially Sulawesi macaques, Sumatran species including those living on the Mentawai Islands, long-tailed macaques in Java and Thai, and golden snub-nosed monkeys in China. 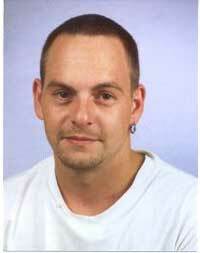 His studies focus on population dynamics and cultural behavior. He is also deeply involving in the conservation of these species and education of young primatologists in Asia and elsewhere. Until recently, hybrid speciation was thought to be only a marginal phenomenon in animal evolution. However, with the application of molecular methods over the last 15 years, it became clear that introgression and hybrid speciation is more common in animals than was previously thought. A number of recent reviews on interspecific hybridization illustrated an unexpectedly wide taxonomic range and, depending on the group of organisms, relatively high frequencies of interbreeding species. For primates, information about hybridization is still scare compared to fishes, birds or other mammals. However, recent reviews have highlighted the taxonomic breadth of natural hybridization in the primate order. Such hybridization has occurred mainly between species (e.g., Lepilemur sp., Microcebus sp., Alouatta sp., Papio sp., Macaca sp., Gorilla sp. ), but has also been detected between genera (e.g., Trachypithecus x Semnopithecus, Rungwecebus x Papio). Even for the human lineage, hybridization has been suggested as an important evolutionary mechanism. In my presentation, I will provide an overview about what we know about hybridization in primates, especially Asian primates, and which molecular methods can be applied to detect hybridization. Finally, I will discuss the impact of hybridization on taxonomy, conservation and biomedical research. Christian Roos is senior scientist at the German Primate Center and head of the Gene Bank of Primates and the Indochinese Primate Conservation Genetics Project. For 15 years he has worked on the genetics of primates in general, but mainly on Asian primates. In his laboratory, various molecular methods as e.g. sequencing of mitochondrial and nuclear genes, microsatellite analysis, SNP typing or presence/absence analysis of Alu integrations are applied to elucidate the population genetic structure, phylogeny and phylogeography of primates. His studies provided essential information on the evolution, taxonomy and distribution of various primate radiations. As member of the Chinese and Malagasy sections of the IUCN/SSC Primate Specialist Group and as deputy regional coordinator of the Southeast Asian section, he is directly involved in conservation actions. The knowledge about the status of species and populations is an important conservation tool. Depending on the changes of limited funds for conservation activities, manpower, and education, efforts can be concentrated on projects to stabilize critical populations and to secure their survival. Data that is based on monitoring new discoveries or dramatic population changes should be updated. A continual lack of actual data for a specific taxon shows the need for further work. Several cases are known in which a late assessment of a believed common species has revealed a dire situation and then required a high effort in conservation activities. The decrease of populations shows a dramatic loss of many, especially small and isolated populations. The numbers of individuals in larger populations show a steady decrease. The total loss of some primate species for Vietnam in the long run can not be excluded. More than 90% of the taxa are threatened with extinction. Seven taxa listed as "Critically Endangered", nine taxa as "Endangered" and seven taxa as "Vulnerable". In recognition of the high endemism and threat level, five Vietnamese species have been consistently listed on "The World's Most Endangered Primates" since its inception in 2000, more than any other hotspot. Despite the decrease in numbers of several primate species already announced since the last twenty years no sufficient measures are implemented to stop further loss. There are unfortunately only few exceptions in the effort to reduce further loss of endemic species. The Delacour's langur (Trachypithecus delacouri) and the enigmatic Tonkin snub-nosed monkey (Rhinopithecus avunculus) now have one stable or increasing population at least in one protected area each, but several subpopulations disappeared already. The Cat Ba langur's (T. poliocephalus poliocephalus) precipitous declines have been halted. The grey-shanked douc langur (Pygathrix cinerea) has received considerable survey effort, revealing additional significant populations, but poaching is still a serious threat. The conservation of the eastern black gibbon (Nomascus nasutus), occurs in a small population in Vietnam and in an adjacent area in China, and hopefully transboundary conservation activities can support to stabilize this small population. Strong decisions and actions are necessary to avoid further extirpations. National and international conservation funds and capacity should be concentrated on active protection work and reduced in field studies in which the contents occasionally only record the dwindling of populations. Tilo Nadler is project manager of the "Vietnam Primate Conservation Project" of Frankfurt Zoological Society and Director of the Endangered Primate Rescue Center at Cuc Phuong National Park, Vietnam. He has been working for nearly twenty years on primate conservation in Vietnam. His work is concentrated on the protection and conservation of Vietnams highly endangered primate species. This includes surveys and field studies about distribution and status of these taxa, studies about morphology, behavior and molecular genetics, and practical support for the protection of important primate habitats as well. 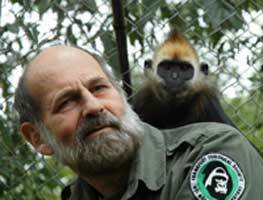 In 1993 he established the Endangered Primate Rescue Center for captive breeding of several critically endangered and endangered primate taxa with the goal of reintroduction to support dwindling wild populations. The center serves also as an excellent facility for studies of these species and as an educational spot to promote the conservation idea to the public. A number of scientific papers and books reflect his work and brought attention to the highly threatened Vietnamese primates. 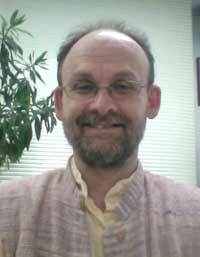 Tilo Nadler is editor of the Vietnamese Journal of Primatology, member of the IUCN-Primate Specialist Group and the IUCN-Reintroduction Specialist Group. The University of Maryland is working in joint partnership with the African Wildlife Foundation and other institutions to support land use planning in the Maringa-Lopori-Wamba (MLW) Landscape located in northern Democratic Republic of Congo (DRC). It is one of twelve Landscapes identified by the Congo Basin Forest Partnership (CBFP) as an area of high priority for conservation within the Congo Basin. It harbors many terrestrial mammals of great conservation importance, including the bonobo ape (Pan paniscus), listed as Endangered on the IUCN Red List of Endangered Species. This presentation will demonstrate the use of spatially-explicit datasets and models to guide a participatory planning process to conserve the bonobo ape and simultaneously maintain the livelihoods of local communities in the region. The results of this work will contribute to the DRC's land-use planning efforts for the future conservation and management of its forests, and simultaneously inform a future national bonobo conservation strategy. The MLW landscape consists of a swath of land covering 74,000km2 in the northern Democratic Republic of the Congo. While the yearly deforestation rate is still low (<0.1%) and most habitat destruction (mainly caused by slash and burn agriculture) occurs close to existing settled and cultivated areas, projections based on the current tendencies of land use change show further encroachment into forest blocks important for wildlife habitat and connectivity. Using a combination of spatially-explicit modeling and participatory approaches, we are working with local communities to identify areas best suited for inclusion in a proposed Rural Development Zone meant to constrain future agricultural expansion and simultaneously meet conservation objectives. This planning model considers a host of factors influencing future agricultural suitability including assumptions about future population growth and agricultural activity, the influence of existing agricultural areas, human accessibility, and locations of areas important for bonobos and general terrestrial biodiversity. To realize this model, are engaging in participatory mapping with local communities to define agricultural boundaries at the village level and initiating quid-pro-quo support for sustainable livelihood development and agricultural intensification inside the proposed Rural Development Zone. Through participative land use planning and micro zoning, we hope to decrease deforestation and forest degradation in remote areas which are important for habitat and connectivity. This work will guide future zoning, planning, and natural resource management activities in the MLW Landscape and inform future strategies for bonobo conservation in DRC. 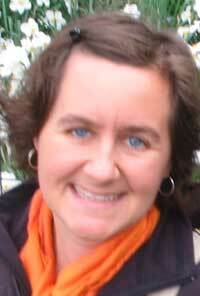 Janet Nackoney has over ten years of experience working on environmental conservation projects using Geographic Information Systems (GIS) for analyzing ecosystem services, assessing patterns of land use and land cover change, modeling habitat suitability, and aiding in conservation planning and land management. She specializes in applying these concepts to Africa in particular. Ms. Nackoney is currently a Faculty Research Assistant and Ph.D. student in the Department of Geography at the University of Maryland. Her research consists of participative land-use planning for sustainable development and conservation of forests in northern Democratic Republic of the Congo. She recently spent three months there working with local communities on participatory mapping and data collection for future micro-zoning in order to protect bonobo habitat and maintain wildlife connectivity between existing protected areas. In addition, Ms. Nackoney has been using remote sensing to conduct temporal change analyses and develop predictive models of future land cover change in the study site. Prior to her time at the University of Maryland, she served as a GIS Associate at the World Resources Institute (WRI) in Washington, DC, where she analyzed relationships between ecosystem services and human well-being in Kenya.